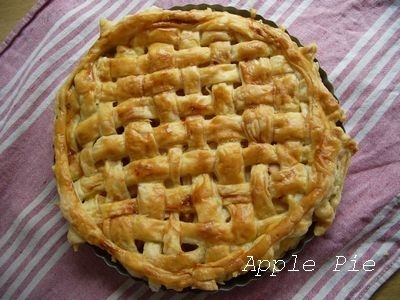 I baked the apple pie yesterday.Very nicely~~!! I like smell when the filling is made. It smells very sweet when the apple and sugar are condensed. This pie was popular among the family.